This work provides the first systematic discussion of the Bodhisattva path and its importance for constructive Christian theology. 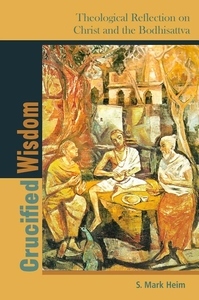 Crucified Wisdom examines specific Buddhist traditions, texts, and practices not as phenomena whose existence requires an apologetic justification but as wells of tested wisdom that invite theological insight. With the increasing participation of Christians in Buddhist practice, many are seeking a deeper understanding of the way the teachings of the two traditions might interface. Christ and the Bodhisattva are often compared superficially in Buddhist-Christian discussion. This text combines a rich exposition of the Bodhisattva path, using Śāntideva's classic work the Bodicaryāvatāra and subsequent Tibetan commentators, with detailed reflection on its implications for Christian faith and practice. Author S. Mark Heim lays out root tensions constituted by basic Buddhist teachings on the one hand, and Christian teachings on the other, and the ways in which the Bodhisattva or Christ embody and resolve the resulting paradoxes in their respective traditions. 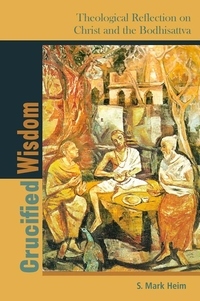 An important contribution to the field of comparative theology in general and to the area of Buddhist-Christian studies in particular, Crucified Wisdom proposes that Christian theology can take direct instruction from Mahāyāna Buddhism in two respects: deepening its understanding of our creaturely nature through no-self insights, and revising its vision of divine immanence in dialogue with teachings of emptiness. Heim argues that Christians may affirm the importance of novelty in history, the enduring significance of human persons, and the Trinitarian reality of God, even as they learn to value less familiar, nondual dimensions of Christ's incarnation, human redemption, and the divine life. Crucified Wisdom focuses on questions of reconciliation and atonement in Christian theology and explores the varying interpretations of the crucifixion of Jesus in Buddhist-Christian discussion. The Bodhisattva path is central for major contemporary Buddhist voices such as the Dalai Lama and Thích Nhât Hanh, who figure prominently as conversation partners in the text. This work will be of particular value for those interested in "dual belonging" in connection to these traditions.